The Austin Community Tree (ACT) program delivers free trees to low tree canopy neighborhoods in Austin. The addition of trees can cool daytime temperatures and reduce the "Urban Heat Island effect". ACT is a partnership among neighborhoods and the following City departments: Development Services Department, Parks and Recreation Department, Community Court, and Austin Energy. 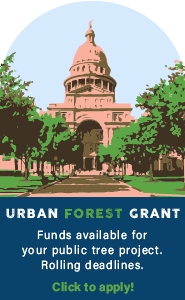 Since 2006, we have delivered over 6,300 trees throughout the Austin community. increase personal connections to trees. This new approach aligns with Strategic Direction 2023, the City Council guide for achieving the vision of Austin's future. Questions? Email Margaret Valenti or call (512) 974-2648 for more information. We use national standards for designating low tree canopy. View the tree canopy percentage of your neighborhood. Learn more about the City's Strategic Direction 2023.